The original facelift procedures involved taking excess skin from the cheeks without undermining the skin or lifting any other tissues. The results were obviously limited and not very long lasting. Eventually, surgeons began to undermine the skin so that more could be removed allowing for better results. Unfortunately, this was taken to an extreme resulting in an over pulled or ‘wind-swept’ appearance; not a natural look. In the 1970’s, surgeons discovered another layer in the face that invests the facial and neck muscles that could be lifted and tightened as well as the skin to provide a better, more natural and longer lasting result. That layer is known as the SMAS, which is an acronym for Subcutaneous Musculo-Aponeurotic System. Most well trained plastic surgeons now perform some sort of a SMAS-lift at the time of a facelift. It allows for better correction of the jowls and neck while reducing the need to pull the skin as tight, which had resulted in an ‘operated’ or ‘wind-swept’ appearance. The SMAS is continuous with the superficial muscle of the neck known as the platysma. Tightening and suspending the platysma in the neck is analogous to what is done with the SMAS on the face. The suspension is generally performed with absorbable sutures, which last for several months; long enough for scar tissue to form and hold the SMAS and platysma in place. 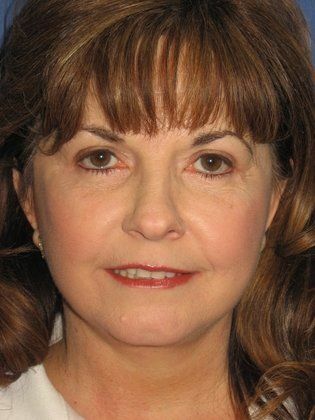 A small SMAS-lift can also be performed during a mini-facelift, but it is not done as extensively as is done during a full facelift. With enough of a suspension of the SMAS-platysma on the sides of the neck, some improvement in contour of the neck immediately under the chin is possible; however, not as much of a correction of the neck is possible with a mini-lift compared to a standard facelift. It is often the condition of the neck which determines whether a mini-lift or a standard facelift is performed. 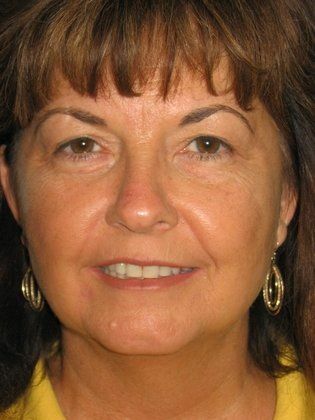 A SMAS-lift takes a little longer than the old facelift but does not result in more pain or a longer recovery. All of the external sutures are removed in about a week. Most patients have surprisingly little pain after a facelift and are back to normal activities in 2-3 weeks. Most patients will have what they describe as ‘internal tightness’ for a while after a SMAS-lift procedure but that does not translate into an overly pulled facial appearance. By putting the tension of the underlying supporting structure of the face with SMAS-lift, excessive skin removal and pulling becomes unnecessary allowing for a more natural result. While some sort of SMAS lift, tightening or plication has become the standard of care for facelift procedures performed by board certified plastic surgeons, that is not generally the case for non-plastic surgeons performing facelift surgery. Physicians without specialty training are rarely taught such advanced surgical techniques and their patients often suffer consequences as a result of having their procedure performed by untrained or poorly trained surgeons.